This is our mega guide to charcoal toothpaste. In this post, we look at the best charcoal toothpaste and charcoal teeth whitening products. We consider whether or not they work, how they compare to normal teeth whitening products, and much more. We’ll jump straight in with our choice for best charcoal toothpaste, but if you’ve not yet used charcoal for teeth brushing, we advise you read as many sections as possible — it may not work quite how you think. In fact, charcoal toothpastes are likely to be very different to your regular, off-the-shelf toothpaste, as we discuss below. We’ve also put together a section on how to use charcoal toothpaste, in case you do opt for one of the products below. Charcoal toothpaste? Is this really a thing? Why is charcoal so popular? So does charcoal toothpaste really work to whiten teeth? Is the use of charcoal an alternative to expensive tooth whitening? How does charcoal powder and toothpaste work? What are the side effects of using charcoal? What are the benefits of charcoal toothpaste? What are the negatives of charcoal toothpaste? What’s better – A regular whitening toothpaste or charcoal? How often can charcoal pastes and powders be used? Where to buy charcoal toothpaste and activated charcoal? Is charcoal toothpaste and powder safe to use? Is it approved by dental organisations? What do the manufacturers say about charcoal toothpaste and powder? What do dentists say about charcoal toothpaste in general? We have reviewed a variety of charcoal teeth whitening products — links to the reviews are included further down the page in case you want to check them out. Having used so many products, we can say that in terms of what the products achieve, there is not a huge difference. Charcoal products should not be regarded as ‘whitening products’, but rather ‘stain removal products.’ If your teeth are not already stained or discoloured, it’s unlikely you’ll notice a difference in shade after using a charcoal paste or powder. If your teeth are stained, you may well see some change after using a charcoal-based product. In that sense, most charcoal pastes and powders will be effective to some degree. For guaranteed whitening results, if that is what you are after, you should familiarise yourself with the best tooth whitening methods for you. 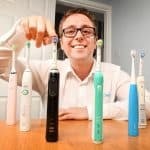 The next considerations therefore become safety and price — you want to choose a product that won’t damage your teeth, nor be unnecessarily expensive. This article has been written from the point of view of the consumer, having done a lot of research about and tested various products available in the UK, both online and in stores. But, it has been medically reviewed and verified by our in-house dentist. The fact is there is currently a lack of evidence of the suitability of charcoal for long term stain removal and teeth cleaning. Whether using charcoal or other stain removal / teeth whitening pastes / powders, the current advice is not to use them as a permanent toothpaste solution. Some advise using the products once per week alongside regular toothpaste, others advise using them daily for a few weeks and switching back to regular paste if / when staining has been reduced. Taking into account the above and our own testing of products, our current picks for best charcoal toothpaste are Beverly Hills Formula Perfect White Black (view it here on Amazon) and Curaprox Black is White (view on Amazon). Both of these have been openly endorsed by dental professionals to some extent, which we cover in more detail below. Again, this isn’t necessarily a comment on their efficacy nor their long term suitability, but in our book it at least puts them ahead of other products that haven’t been endorsed at all in terms of safety. Here’s a list of all the charcoal toothpaste reviews we’ve completed to date. Click a link to be taken to the full review. If there’s a product you’re interested in that isn’t on the list, let us know in the comments. Search YouTube for ‘Charcoal Toothpaste’ and at the time of writing, there are over 142,000 videos results. Brushing your teeth with charcoal (not the normal stuff you put on the BBQ) has recently become the hot new, must try solution for cleaning your teeth. Well, whitening your teeth, really. Yes, charcoal can make your teeth appear whiter! The recent surge in popularity and conversation has been driven by the health and beauty industry in what would appear to be them ‘cashing in’ on the belief that it can whiten your teeth. Marketing campaigns are fashionable and trendy, unlike those for most other toothpaste. Videos such as those from Mama Natural, Elko and Katie Wells to name just a few would appear to suggest that just 3-5 minutes of cleaning with charcoal can whiten your teeth. Charcoal has origins within ancient medicine and has for a long time been used in hospitals (1 & 2) as a remedy and tool in treating patients with severe poisoning, thanks to the properties it contains; so there is reasonable merit in believing it can do more for us. However, there is a need to look at the facts and better understand how charcoal works and can form part of your oral hygiene routine. This article covers all you need to know about the black stuff, the new magical formula that is the current trend on social media and within the beauty industry. Find out what charcoal toothpaste really is, whether it really works, what products to choose and what the professionals say. Without a doubt, the biggest reason that the use of charcoal for cleaning teeth has become a thing is because of the advertised whitening effects. There is countless evidence online of everyday individuals like you and me achieving brighter and whiter teeth than you might by using a regular toothpaste. Just check out some of these before and after images, the results clearly show whiter teeth. Yes, using charcoal to whiten the teeth works…sort of! Any toothpaste that does not include a peroxide or bleach will only ever remove stains and discolouration to the external enamel surface of the teeth. Charcoal toothpaste can make your teeth appear whiter, by lifting and removing this staining and discolouration, but the natural colour of the teeth does not change. Therefore the results you achieve by using charcoal or any other toothpaste will be different to me. Sadly, the pictures, particularly on social media make charcoal look like a magic cure, it really isn’t. The effects of whitening may show for some, but many will see little or no results at all. It is likely to be best for those with poor oral hygiene or particularly stained teeth, whereas someone who has been engaging in a regular hygiene routine on their teeth for several years is very unlikely to see a noticeable difference. This is not a permanent solution and the risks of using charcoal are still unknown. Charcoal may be a cheaper alternative that is easier to complete, but any possible results are limited. Teeth may appear whiter for a shorter period of time and there is a limit to how many shades whiter your teeth will be. Your teeth will never be whiter than your natural tooth colour. If you want whiter teeth than you have naturally, then you will require professional tooth whitening. Available only from a registered dental professional, their products contain chemicals that change the tooth colour and do more than just rid the tooth surfaces of stains, they actually change the colour of the tooth. Results can be more significant as well as quicker. For an even whitening effect that is safe and will last and, a cosmetic whitening from your dentist is always the best option. It might be more expensive, but it will last longer, it is generally safer and is completed by a professional. As the name implies, charcoal toothpaste, is a blend of ingredients into a paste form for use on your teeth. The charcoal is not the regular type of charcoal that you might use on a BBQ or on a fire – there are no big lumps that come from within the tube. Charcoal toothpaste is a specially formulated form of charcoal designed for use within the medical and health industry. It is known as ‘Activated Charcoal’. Because of the way that activated charcoal (see below) works, picking up stains, the toothpaste you buy is unlikely to have the normal protective ingredients that you find in toothpaste, such as fluoride. Also known or referred to as ‘Active Charcoal’ or ‘Activated Carbon’, it is a powder made from carbon rich item like nutshells, coconut husks, peat, wood and coal amongst others. There are 2 main methods for creating this, either via physical or chemical activation. With physical activation, the materials are developed into activated carbons using hot gases, in an airless environment; air is then introduced to burn out the gasses, creating a graded, screened and de-dusted form of activated carbon. Chemical activation, on the other hand, involves mixing the materials with a strong acid or salt prior to the addition of temperature. The temperature then required to activate the carbons is less. As a result chemical activation is usually the preferred production route due to the lower temperatures and time required. Essentially this whole process is designed to develop pores (small holes in the carbon) that allow the substance to pick up unwanted substances in the body when used. So, for example, when used with extreme poisoning, the activated charcoal pores will collect and absorb the toxins that make you sick and help rid the body of these toxins. Charcoal that has been activated is safe for use within health and beauty products. If you want to see how it is made, this video gives you a good overview. Activated charcoal can come in several different forms. On the whole, the way that it is used, how it works and what it achieves is very similar regardless of what form it comes in. Whilst toothpaste has for a long time been the primary substance used for cleaning teeth, charcoal in toothpaste is actually the newer formation. In some parts of Africa, charcoal is still used for cleaning the teeth as regular toothpaste is not easily available! For many years activated charcoal has been sold as a powder in a tub or in capsules. Charcoal is now even incorporated into the bristles of brushes! You can find out a lot more about this by reading our post on charcoal toothbrushes. The capsules contain a powder like you would get in a tub, but they are suitable for small dosages and one time usage. For example, each time you clean your teeth you use just one capsule. For a paste, you apply a pea-sized amount on to the brush like you would a regular paste. A tub of charcoal powder will require you to dip the damp head of your toothbrush into the powder. With a capsule, you will normally crack open the capsule on to a surface to expose the powder, dab the damp brush head into it and then proceed in cleaning the teeth. Whichever form you look to use it in, the benefits and drawbacks are generally the same, however, the toothpastes often have other ingredients in them to give other benefits and improved cleaning. The powder and capsule contents tend to taste and appear more coarse than a toothpaste. This is in part because it has not been ground as fine, but also because with a paste the charcoal is part of a thicker substance so the texture is somewhat disguised. Charcoal toothpaste and charcoal powders work in a similar way, with the main intention of being more effective at cleaning the teeth. The charcoal powder on its own is not mixed with other ingredients like a paste is. The activated charcoal removes stains on the teeth. This means that charcoal toothpastes do not actually whiten the colour of the whole tooth, but can be used for removing dark stains caused by, for example, coffee or smoking. If you are a heavy drinker of tea, coffee or red wine then you will likely see the benefits of this more than those who do not consume large amounts of these liquids. Firstly, the charcoal is a very mild abrasive, so it gently rubs off any stains. Being a porous substance, the bacteria and compounds that stain the teeth are essentially bound together and pulled from the tooth surface by the substance and helped by the light brushing with a toothbrush. Secondly, charcoal is also able to absorb chemicals in the mouth, and that includes chemicals that contribute to staining and bad breath. For many years it has been used as a tool in the use of toxins from the body, particularly in cases of poisonings. The health and beauty industry has taken this approach and applied it into pastes and cleaning products to essentially aim to achieve similar results, but rather than remove poison, remove harmful bacteria in the mouth that causes staining and bad breath. The lack of study means known side effects are not exactly clear. However, it is a fair assumption that different people can and will react differently to it, as is the case with a regular toothpaste. Some people may endure more sensitivity, some may find their gums bleed, some may be left with an after taste, some may be left with staining to the teeth and gums. Stopping the use of charcoal if you were to experience any of these will usually allow the mouth to naturally recover within a few days or weeks. However, long term use of charcoal and the effects on the enamel on the teeth and the dentin inside is unknown. With so many people talking about charcoal toothpaste and activated charcoal, what is it that makes it so good? An expert in the whitening industry, dentist Linda Greenwall, has put together her beliefs on the use of charcoal products in this article. Other articles such as this by Alex Bracetti say ‘many experts suggest, along with some research that brushing one’s teeth with this black sludge will earn you oral health gains’. Cavity blocker – The pH balance of your mouth changes and makes the mouth less acidic. This helps the saliva re-harden early spots of decay. Way of reducing halitosis – Toxins and bacteria are absorbed when using a carbon based product like a charcoal toothpaste, relieving the bad breath problem. Kills germs – Variants are ‘clinically’ proven to reduce bacteria by up to 90%. Teeth whitener – Gently scrubs stains away whilst it also absorbs microscopic bacteria responsible for staining teeth. Whilst Bracetti goes on to say, ‘much of what’s read can also be deemed too good to be true’, he provides not a single reference to any expert’s, research or other outlets making such claims. Having myself spent many hours researching this, I can find little in the way of credible research and have yet to come across an expert who makes such claims. To date, there have been no scientific studies published proving the effectiveness of charcoal toothpastes in tooth whitening, oral hygiene and any claimed preventative and halitosis-controlling effects. I wish not to be too critical, I, just like you, would love to think there is a more natural ingredient out there that can offer such fantastic benefits, but at present the research is lacking. In fact, in June 2017, Brooks et al conducted a literature review on the subject. Their conclusions from 118 potentially eligible articles were that there is insufficient clinical and laboratory data to substantiate the safety and efficacy claims of charcoal and charcoal based pastes or powders. What I can say is that there is scientific evidence present for showing how charcoal can remove toxins for poisoning from the body, so it would be fair to assume that it can have similar benefits in the mouth, but it needs to be proven. There is also the very real evidence online, on blogs and the abundance of YouTube videos that appear to confirm that charcoal can whiten your teeth. But it is best to err on the side of caution of these, as we simply don’t know what editing has happened. Dentists themselves will even agree that the results do in some respects speak for themselves, but all follow this with comments of caution. With every positive normally comes a negative or drawback. So what is so bad about using a charcoal toothpaste? Untested/Unapproved – There is very limited research and a lack of clinical studies into the effectiveness of this. That is not to say it does not or can not work. However, there is little scientific evidence to technically uphold many of the claims that are being made. Damage to teeth – The long term effects on the teeth and body’s health are not known due to the lack of clinical research. Teeth could be left susceptible to long term enamel damage and erosion. Bacteria removal – It is unclear if the charcoal is removing only the bad so-called toxins and bacteria. It is equally possible that this porous substance is also removing good bacteria and absorption of prescription medication as questioned by Thomas Pierelli and Try Wilson. Reactions – Like any toothpaste, some will see benefits, but some will react to the paste, with possible sore gums, increased bleeding or sensitivity. Results – Particularly if you are looking to use charcoal toothpaste for its potential whitening properties, the results will be different for everyone due to the differing condition of our teeth and the amount of staining. Cost – Whilst not dramatically more expensive, the majority of charcoal-based products are more expensive than a regular toothpaste. You still need regular paste – Despite the benefits, even the major charcoal-based toothpaste and powder brands actually promote the use of a regular toothpaste alongside their own products. Messy – Use of the black stuff is potentially quite messy. Generally more so in the powder form, but even with the paste, it can be quite frothy, and you are left with a black smile and may need to rinse and floss more than normal to remove the coating left by the mixture. It will also stain your toothbrush and can be a bit of a pain to clean off of your bathroom countertops and sinks etc. If you asked a dentist, the vast majority would suggest a regular whitening toothpaste over charcoal. As medical professionals, they have a duty to look out for your health. As there is little in the way of study into the use or charcoal, then they can really only recommend tried and tested whitening products. However, many dentists are influenced by leading brands who pump large amounts of money into advertising, supporting dentists and the industry and often fund the all important trials needed to determine how useful or safe a paste really is. As such, there can be an ulterior motive for dentists to promote the ‘tried and tested’ pastes. 1st Family Dental conducted their own trial with willing participant Jessica. They commented “ Jessica reported that while she wasn’t exactly sold on the results of using charcoal to whiten her own teeth, that of course does not mean that others will not notice results they are happy with. Regardless of the outcome, it was an excellent way to confirm the importance of flossing. Charcoal works by binding substances, but if you don’t rinse it off, it sticks to surfaces and is a great, visual way to show that brushing alone can’t remove plaque and biofilm from all of the surfaces of your teeth. In our DIY experimentation, we realized some important factors to take into consideration when considering using an at-home option to whiten your teeth. Whether you decide to opt for charcoal or a regular paste, neither of these are going to do complete wonders for your teeth. If you really want perfectly white teeth, perhaps quite a few shades whiter than you already are, only more traditional teeth whitening offered by a dentist will do the job effectively. The process of brushing your teeth with charcoal toothpaste or power is very similar but the main difference is the brushing time and frequency. Dip the head into the charcoal powder. Brush gently for 3-5 minutes. You may wish to spit excess into a glass rather than your sink to avoid a ‘mess’ to clear up after use. Brush tongue and gums (and teeth if needed) with water to remove as much of the black colour as possible. Dispose of the spit down the sink or toilet. As you can see, there is not much difference to your normal brushing procedure with a normal toothpaste. Most brands will suggest that you should use the activated charcoal solution for anywhere between 3-5 days in a row, once a day. You then should not need to repeat this for a few months. This said many manufacturers do also say that it is safe to use every day. If you do choose to use for 3-5 days and then take a break, you should return back to your normal toothpaste. And during those 3-5 days, one of your two cleans should be with a regular paste, whilst the other is with the charcoal option. Brush gently for 2 minutes. You may wish to spit excess into a glass rather than your sink to avoid a ‘mess’ to clear up after use. The difference here is really the brushing time and frequency. With a paste, it is the normal 2 minutes but with the powder, it is slightly longer. With a toothpaste you can use this every day like you would a normal toothpaste. With the power, due to the more raw nature of its makeup you need not repeat the cleaning as frequently and essentially take a break. There are no hard and fast rulings on what time periods you should use these products for. Powders, rather than pastes, tend to be recommended for use for shorter periods, on average once a day for 3-5 days, rather than every day. Although many brands (1, 2) do suggest the powders are perfectly safe for everyday use. If used for 3-5 days, you can then take a break, a couple of months on average before you need to use again. Outside of this time, resort back to a normal toothpaste. Toothpastes with charcoal in are ‘fine’ according to the manufacturers to use every day, twice a day and are not subject to suggestions of breaks or less usage than a regular paste. On the other hand, dentists recommend that you should use products with activated charcoal cautiously and sparingly. Brush with it no more than once every other week, and not for an extended period of time, even if your teeth feel normal. By the nature of the solution put into the mouth, you get what I refer to as the charcoal smile. Teeth that are grey or black in colour and quite often a bit of messy around the lips and mouth. Don’t worry, this all comes off, but here are a few shots of what you could look like. The best place really is through online retailers such as Amazon. Charcoal based products are starting to be made available in high street stores like Boots and Holland & Barrett, but it is taking time and the range is not as great. What do we define as individuals to be safe? Are we looking at whether charcoal will leave you feeling ill after use or are we looking at whether it will damage your teeth? After all, it’s charcoal-based tooth cleaning products you are considering, right? The small amounts of charcoal used during the teeth cleaning process are unlikely to have any serious effect on the body or your health in general. This is no guarantee, though, as every individual reacts differently. But it would appear that most users will be fine, particularly as charcoal is already used as a medical aid in some cases. Digging into whether it is the same to use on your teeth is harder to truly answer. There is a bit of differentiation between a paste and a powder. Whilst still to be proven, a paste is likely less damaging as the charcoal is a smaller component within a mix of other ingredients. The rawer form of activated charcoal powders and capsules could be different, but brands would suggest so. Many frequently asked question pages and product descriptions state it is safe and non-abrasive, however many do also encourage breaks or non-consistent use, whilst also suggesting it can be used every day if you choose. Sadly what is not at all clear is how these brands have deemed the product to be safe, as there is an obvious lack of research into the effects of using charcoal on the teeth. In fact, it really is worth considering the source of the charcoal toothpaste. Whilst many brands now exist, few are really established brands, perhaps with the exception of Colgate and Beverly Hill’s. Where does the activated charcoal come from and what is it made of? Coconut shells are the most common source, but where is it made, too? Is it made in the UK or the USA? It might be worth sticking to those that are. It was back in 2007, but some Chinese brands of toothpaste that have contained toxic ingredients have made their way onto shop shelves around the world; Saudi Arabia, Australia and the USA. These comments from DiGangi and Bendit are primarily in relation to charcoal powder as a more raw substance rather than an actual toothpaste. With this said, 142,000+ YouTube video results on the subject, a high proportion of which are using charcoal powder rather than a paste, would likely highlight if there was a major issue. Then again the damage and potential effects may only show after a long term exposure to charcoal on the teeth. Manufacturers could argue that such a claim — that only one paste is safe — is unjustified; more on that later in the article. It’s also worth noting that DiGangi and Bendit seem to be referring to the fact that Curaprox contains a particular ingredient, nanohydroxyapatite, which distinguishes it from DIY pastes and powders, and has a low RDA index (how abrasive it is) compared to other toothpastes. Read more of their article here if you are interested. As of October 2017, the Oral Health Foundation, an independent charity (not for profit) dedicated to improving oral health and wellbeing around the world have raised fresh concerns over the exaggerated claims of products containing activated charcoal. Dr Nigel Carter, CEO of the Oral Health Foundation said “From a whitening perspective, there may be anecdotal evidence of their whitening potential but any effect they have will likely be superficial. So is it really safe? The answer is there is no evidence to prove that it is unsafe and no evidence to suggest it is. The fact that leading brands like Colgate now have a charcoal based toothpaste might suggest so. Would they put their reputation on the line if it was unsafe? Until more research is done we will never really know for sure. To date, no charcoal based toothpaste has to my knowledge been approved by any dental organisations. This is of course just the view of the ADA and other leading organizations such as the British Dental Association may have a different stance, but there is no evidence to suggest this. If one of the leading organizations with some of the best dental and medical professionals believes this, then it is highly likely others take the same view. Concerned by the lack of research and many claims by websites, bloggers and the manufacturers themselves of claims charcoal is safe, I reached out to some of the manufacturers for comment, posing my concerns of the abrasive nature. “The abrasive nature is very little in this product – the charcoal is actually so fine that it’s hardly abrasive. This works like a sponge, extracting the stains off your teeth. I am not sure what you think but this does not really answer the question, maybe my question was not direct enough in the research but failing to provide any evidence suggests to me that they have not completed such research. In fact, I asked for clarity in regards to the safety assessment and they confirmed that this relates only to the ‘production process’ being safe as opposed to the product itself. Purity Labatories, the firm behind Beverly Hills Perfect White (view on Amazon) provided a much more positive and helpful response, even if it lacked a bit of detail. 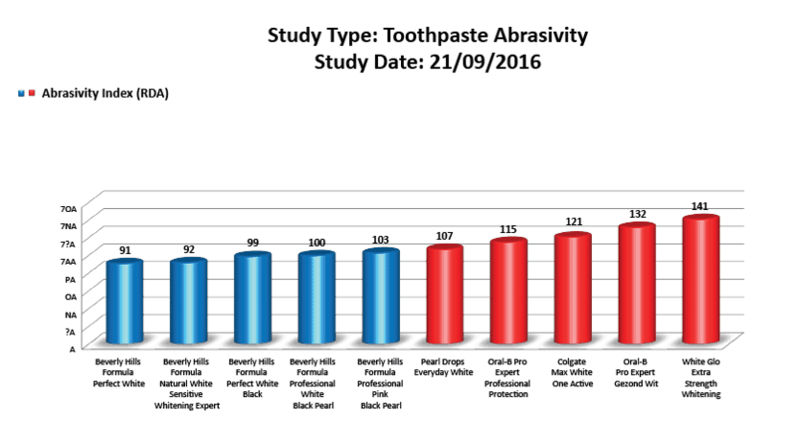 “I have attached our abrasivity chart above as we have had research carried out by independent universities which prove our charcoal toothpaste has the lowest abrasivity levels compared to our competitors. Whilst this image provided is not the most comprehensive of research it does at least show how abrasive the paste is compared to other products and it shows that many whitening pastes are more severe than this charcoal infused product they offer. What did Colgate have to say about their Total Charcoal Toothpaste (view on Amazon)? Anyone can say a product is safe but they have not actually gone as far to provide evidence. However the size and influence Colgate have I am pretty sure they will have considerably more stringent tests and processes than some other brands. “I would like to reassure you that our product is different to the other charcoal products on the market. Our formula is a mix of botanical ingredients formulated to safeguard the teeth. No response was received from ProCoal (view on Amazon) or Janina (view on Amazon). So, perhaps a little unsurprisingly none provided comprehensive detail into how or why their product was deemed safe, is this because they have no evidence to confirm that it is? My guess would be yes. I am not suggesting these products do not work, nor that they are not safe, but of course manufacturers are going to tell you it is safe, to sell the product. What concerns me slightly is that some of these more ethical brands of all natural ingredients – who I would have thought would have done some testing – have not. If the Beverly Hill’s and Carbon Coco responses are anything to go by then all should be fine. With a lack of approval from dental organisations, it is unlikely that dental professionals will be supportive of such a routine. 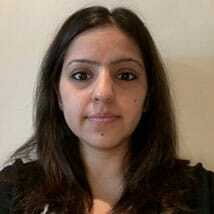 We spoke to Dr. Sanaa Kader of IndigoDental.co.uk and Dr. Deepak Songra of PetDentist.co.uk to ask their opinions. There is limited evidence for the efficacy of actually whitening the teeth, but what it has been shown to do is to remove superficial surface staining caused by diet-related factors, and in effect make the teeth appear whiter and brighter. If you are looking to improve the appearance of your teeth by removing stains, it is a great product, but do not expect it to whiten your teeth, for that you must go to your dentist to have it done professionally. It’s up to the patient what they want to use or try out. However in my professional opinion I do not believe that activated charcoal can ‘whiten’ the teeth and only removes surface staining, as the tooth itself is not absorbing anything from the activated charcoal as far as I am aware. It may seem to ‘brighten’ the teeth as it can be abrasive and remove surface staining and give the impression that it whitens the teeth so it may give a positive outcome on someone who has a lot of staining from smoking or drinking a lot of tea/coffee, for example. I would not recommend daily use/ frequent use to my patients as it can be abrasive and cause sensitivity. 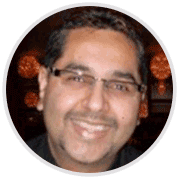 Dr. Deepak Songra – www.petdentist.co.uk – GDC Number: 68552 – Dentist and a member of the British Dental Veterinary Association. At the start of this article, the two products that we have put forward as the ‘best’ charcoal products are those that have had comment from dental professionals – Beverly Hills Formula Perfect White Black and Curaprox Black Is White. The former has been endorsed in the video below (although that video is hosted on the Beverly Hills Formula YouTube channel) and the latter has been written about by two dentists – see this part of the article for more detail on that. Again, we’d like to state that this doesn’t necessarily mean these pastes are suitable for long term toothpaste use. There is still limited evidence as to the safety and effectiveness of charcoal-based pastes and powders, so proceed with caution. Yes, this is a thing too. Essentially it brings all the same benefits of the pastes and powder but now in a brush form. It is the bristles that are manufactured from the charcoal and can be used in conjunction with a paste to clean and whiten your teeth. We have also put together a short guide about charcoal toothbrushes. Use of the brush is different to the pastes explained above, it is said to bring similar benefits but this is one product type that has had a small amount of clinical investigation completed. So essentially, you can choose to use a charcoal toothbrush but like the paste and powder the benefits and drawbacks have not been clearly identified. Charcoal tooth products – particularly powders – I do believe can have positive effects. They can make your teeth appear whiter, by removing stains and restoring your natural tooth colour. However, there are risks attached. The abrasive nature and possible long term damage of this substance is not really known and many professionals take the stance of not backing it and suggesting to stay away from it because they do not have clinical evidence to confirm or deny claims. It is safer and more practical for them to advise against it until more truth is known. Many clinical studies that are needed are done so with the financial backing of big brands within dentistry, like Colgate and Oral-B who produce the very pastes and products dentists recommend. The cynic within me believes that it is currently in the interest of dentists and the industry to advise against it as big money is made from other products and professional treatments. However, it is clear and known that the effects of whitening from charcoal-based solutions are not permanent, do not whiten your teeth to levels that cosmetic dentistry can and it could easily be doing damage to the teeth and gums, we just don’t know. Ultimately it is your choice. Occasional use for a quick spruce up is unlikely to do lasting damage. At the moment the products we would choose over others are Beverly Hills Formula Perfect White Black (view it here on Amazon) and Curaprox Black is White (view on Amazon). The intention of this article has been to cover as much of the topic of charcoal toothpaste and powders as possible, addressing key questions and topics related to the use of charcoal for cleaning the teeth. However, there are always more specific questions that arise and I answer these below. Is charcoal toothpaste the same as black toothpaste? Black toothpaste is another name that has been given to toothpastes that include charcoal, because the inclusion of such turns the paste to a dark grey/black colour. Is charcoal whitening powder the same as activated charcoal? Yes, pretty much. It can vary between brands if they are including different ingredients in their mix, but activated charcoal is referred to by a few different names, including charcoal whitening powder. Should I use charcoal or get my teeth professionally whitened? If you are looking for a long term whitening solution then professional whitening is the only way. Using charcoal would require regular brushing to keep the teeth white and is not guaranteed to give the results like whitening is. Professional whitening is potentially safer and can take your teeth to a whiteness greater than that of any paste or powder. I am not getting the same results as others, why is this? Everyone’s teeth are different. The level of staining can differ, as can the natural colour of the teeth (through the enamel and dentin), and as a result, no results will be the same for everyone. My gums are bleeding and hurting after using charcoal toothpaste, is this normal? Any change in your oral healthcare routine can cause increased sensitivity and bleeding. Subject to how much bleeding or how sensitive your teeth and gums become, either stop using charcoal completely or stop using that product, or continue to use for a few more days to see if this subsides. If not, cease using. If at any time you are concerned seek professional advice. Dr Wison commented in an article at Health.com “If you have a lot of recession of gum tissue, the roots of the teeth may become sensitive as a result of the abrasive quality to charcoal toothpastes. This was supported by Dr. Cassis who recommends trying a charcoal toothpaste from a reputable brand and taking note of any unusual symptoms, like raw or bleeding gums and an increase in sensitivity. If you experience any of these symptoms, stop using charcoal toothpaste right away and make an appointment with your dentist. Can charcoal toothpaste whiten teeth? Or is it a scam? Yes, it can whiten your teeth by removing as the results within this article show. However this is not a permanent solution, nor is it proven to be the safest, and there are other variables that come into play in the results. Charcoal toothpastes do not lighten the overall colour of the tooth in the same way as bleaching. Crowns, veneers and fillings should not normally be stained by the use of charcoal or an activated charcoal product as normally the colour of these are set at the time or creation and are not subject to the same ageing and discolouration as our teeth are. However, always consult your dentist beforehand for advice if you are concerned. Does charcoal pull calcium from the teeth? There is no evidence to suggest it does nor is there the evidence to suggest it does not. The theory is that the activated charcoal will remove only the harmful bacteria and toxins, but this is yet to be clinically proven. Potentially yes. Any substance rubbed on to the natural tooth surface could do damage. Clinical studies do not exist yet to show how damaging if at all, charcoal is on the tooth surface. Can charcoal damage the enamel on my teeth? What kind of stains does charcoal work on? Charcoal can potentially help lift stains that come about as a result of the food and drink we consume. Tea, coffee, red wine and the chemicals ingested through smoking. Charcoal pulls stains from the teeth and is actually whitening the teeth from the removal of dirt, plaque, bacteria and debris which cause the teeth to appear duller in colour until removed. Does charcoal toothpaste help bad breath? The bacteria that would typically linger in the mouth and cause halitosis can be absorbed by the solution and expelled from the mouth, reducing in-mouth odour. It is likely to be most effective if the tongue is brushed or scraped too. It was used as far back as the Roman times as a way of treating bad breath according to Colgate’s research. What does charcoal toothpaste or activated charcoal taste like? It depends on the product you use. The pastes can have a mint taste to them whilst the powders do not really taste of anything but the powders are certainly gritty in texture. Is charcoal toothpaste or powder suitable for vegans? Toothpastes are less likely to be suitable than powders due to the increased number or ingredients, so do check. However all natural charcoal solutions like Procoal and activated charcoal powder have no additives or preservatives, making them natural and suitable for vegans. If using a paste, a pea sized amount. If using powder, dab the brush head into the powder to get a thin coating on the tips of the bristles. For some results will come immediately after using for the first time, whilst others it may take 3-5 days. For some, there will be no obvious differences in the results. Should I use regular toothpaste at the same time? If using a charcoal toothpaste, you do not normally need to use a regular toothpaste alongside this. If using a powder, many brands recommend using a normal toothpaste in conjunction to the charcoal. Can I make my own charcoal powder or toothpaste? In theory, yes. A powder is simpler than a toothpaste, but quite frankly for the effort and time involved, for 99.9% of people, just buying the activated charcoal is cheaper and easier. To make your own, you could follow a guide like this or this. Will it stain my toothbrush and bathroom? Charcoal powder in particular can be a bit messy and it very likely to stain your clothes, toothbrush and potentially your bathroom sink and furniture. It can normally be cleaned off of bathroom sinks and furniture, you may just need to give it a good rinse and scrub and maybe use a good quality bathroom cleaner. It will generally leave your toothbrush a dull grey colour and not look particularly pleasant. As best as possible when using, be careful to avoid spilling it or splashing it about the room. It is light or white surfaces that will look worst as a result. Has this article been useful? Have you got any of your own thoughts and opinions on activated charcoal and tooth whitening? Maybe you have a particular question you would like answered. Please do let us know in the comments below. Charcoal toothbrushes: what are the benefits and which one is best? Starting from the face to body and even to the teeth, the charcoal formula has proved its metal in the industry. Thanks for sharing the list of best charcoal toothpaste and charcoal teeth whitening products. An update. A piec of tooth recently sheered off the darkest affected tooth. I wasn’t sure at the time if it was tooth or filling but the dentist told me it was tooth. Surely this could be proof that the toothpaste affected that tooth and turned the not only the amalgam very dark grey but also the tooth itself. I kept the piece in my purse but now it doesn’t seem to be there! I only just realised this could have been useful to send off to Church Dwight. I wonder if the paste has weakened the tooth as well. Thanks for the comment. I will add it to our list of products to consider. Sadly I cannot say when we will be able to review it. Making a few assumptions without properly looking into and testing this product that the results will be similar to any other charcoal product. If you have staining on the teeth presently, you might see some benefit as it lifts some of the external stains to make your teeth whiter. The risks and other benefits are likely as per the main contents of this article above. There are better ways to whiten your teeth if that is what you are after. Great site btw, I bought a water flosser after reading your reviews as I’m not a fan of manual flossing and have to say it’s a revelation. I even enjoy flossing these days lol. I also got a cross action brushhead as well after reading here and makes my teeth feel so much much cleaner after. Anyway back to the topic, While my teeth aren’t yellow I would like to whiten them more (like most people I guess). So was looking around at all different sorts from strips to mouth guards and charcoal and came back to this tried and trusted site to see your opinion. I was thinking of giving charcoal a go but your comment above has put me off a little. What would you recommend as the better ways to whiten teeth? Firstly, thanks for the positive comments about the site. Really pleased to hear that using a water flosser has been a revelation, did you ever think you would actually enjoy flossing? All being well on your net dental checkup you should get a big tick and thumbs up from the dentist. Charcoal and other whitening products can potentially whiten teeth, but most of the off the shelf products are really only lifting stains off the teeth to restore more of the natural colour. They are not actually making them whiter, by changing their colour as such. Much depends upon how white you want to go and how long you want the effects to last. The out right best option is a professional (at a dentist office) whitening procedure. Safe and effective it lasts for a long time, well its permanent. They use much higher concentrations of chemicals that can actually make the teeth white, but,it is much more expensive. You can have this treatment and make your teeth just fractionally whiter, a subtle whitening process if you like. Many choose to go quite bright to get a noticeable difference. A charcoal powder/toothpaste or similar whitening toothpaste that are typically a bit more abrasive might well be an option to use for 3 months or so. During this time you may get a bit of colour back. But consideration needs to be made for your diet. If you are a heavy coffee drinker, you are always going to have a fight on your hands for example because the coffee stains the teeth. If you use a more abrasive whitening toothpaste or a charcoal product, then after some time return to a more conventional, less abrasive paste, the teeth should stay nice and clean with regular brushing. Drinking water after consuming coffee, tea, red wine etc can all help to remove the things that stain the teeth. Sorry if it is a bit vague. But it really depends on what exactly you wish to achieve. Hi Jon, thanks for the quick reply. I never thought I would enjoy flossing lol, it was always a chore and sometimes I even skipped it, I disliked it that much. With the water flosser though, whether its a placebo or not it seems to do a much more thorough clean and feels like I have done something worthwhile after whereas flossing didn’t. I’ll be recommending one to all of my friends and any of your reading here don’t hesitate to get one if you are thinking about it. Regarding the whitening, in an ideal world I’d like a one-off treatment for cheap that lasts forever lol but that isn’t going to happen haha. I only drink tea (2 a day probably) and don’t smoke so that’s going to help me. From what I’ve seen the dentist whitening could last up to 3 years so while it only works out like £40 a year would they revert back to the normal colour after that and i would need to going back again every few years? As the whitening products (strips, gumshields) are only temporary i guess i would have to use them few times again each year as well so in the long run its probably not worth it. I think I’m going to do what you suggested first and foremost and get some Beverly Hills Perfect White and give that a go for a few months and see what happens. Sorry I forgot to ask, would you replace this toothpaste with your normal one and use twice a day or would just say using normal in the morning and charcoal at night be effective? Sounds like a plan Daz. Next time you see your dentist, ask about the whitening, I think it will last longer. Many practices will run special offers where you can save a bit of cash too. Or they have at home kits which are cheaper, but most importantly, they are more effective as the dentist essentially prescribes you the kit and shows you how to use it properly. Will do, thanks for the help Jon. Is it safe to use charcoal powder with an electric toothbrush? Or will that cause additional abrasion due to the high number of revolutions? You can use charcoal with an electric toothbrush. I have seen no evidence to suggest it is more abrasive when used with an electric toothbrush. Please be aware how ‘safe’ a paste or powder is cannot easily be answered. Please ensure you consider the information presented in this article and make your own decisions based on this. Thank you. I tried asking my dentist about 9 months ago but they weren’t prepared to get involved and said how could they be sure my teeth weren’t already dark coloured – but I have been going there for a few years now so I hope they know/have records. Obviously they have records but whether they could definitely say whether they recall the state of most of my teeth, I don’t know. They tried to say amalgam fillings can look darker but I think I know my own teeth and whether one of them in particular was light coloured and is now black-loooking. I know something has changed and it happened immediately I used the paste – the only other thing I would say is did it react with the Colgate Max White Shine. I have had a further letter from Church Dwight and they say there have been no further incidents reported – well, they would say that. I don’t think there is anything I can do, apart from keep searching the net to see if eventually this comes up with someone else. Thanks for the comment and very sorry to hear the issue you have suffered. I am not a dentist or medical professional in a place to make a qualified comment, but as you suggest it sounds like the charcoal has managed to penetrate and have some sort of reaction. This is not something I have seen or heard of before. It is in some respects fair of Church Dwight (Pearl Drops) to ask for an independent report as to the possible cause of the situation, why will your dentist not offer such a report? Has your dentist been able to suggest any possible remedies to the situation?